When someone thinks of Savannah, they might bring to mind images of ancient architecture, the Savannah River, or scenes from the annual St. Patrick’s Day parade. Sure, these are all aspects of what makes Savannah such a great place to live, but there are so many reasons why you should consider moving to Savannah. Whether you’re in Historic Downtown and wandering through moss-covered squares, walking the length of cobblestone streets like River Street, hanging out at the beach, or sitting in Forsyth Park, there’s something simply stunning about Savannah. The Atlantic Ocean butts up against the edge of Savannah, so there’s plenty of space for everyone to get their tan on. There’s also numerous rivers and creeks around the greater Savannah area to explore by boat, jet ski, or kayak. (Just check the local ordinances before venturing out.) Either way, get ready to see wildlife up close! Chatham County school district has 23 elementary schools, eight K-8 schools, eight middle schools, and 11 high schools. There are also a handful of private school options and colleges in the area. If you’re interested in living in the greater Savannah area, then there is definitely a neighborhood that you’ll fall in love with. You could opt for the heart of the city and find a place Downtown. There’s also more residential areas like the Victorian District, one of the surrounding islands, or even Richmond Hill. The cost of living in Savannah is almost 15 points lower than the national average. The housing cost is the biggest influence. The military bases are a major employer, but there are also plenty of large and small, national and Mom-and-Pop companies that call Savannah home—not to mention the schools and colleges in the area. Whether it’s legendary St. Patrick’s Day, a weekend-long festival, or a one-day event, the city of Savannah’s calendar is always full of fun (and oftentimes family friendly) activities to experience! Plus, everything in the Savannah area is relatively close together thanks to major roads and highways. Sure, it may get a little hot and humid, but there’s something to be said for being able to wear shorts and a t-shirt for the majority of the year. Savannah has more than traditional Southern comfort food. There’s always a new restaurant to try! There’s something comforting about walking down the street and having someone smile, or you may run into a familiar face! Although we may have many of the perks of a larger city, Savannah still has that small town Southern charm. 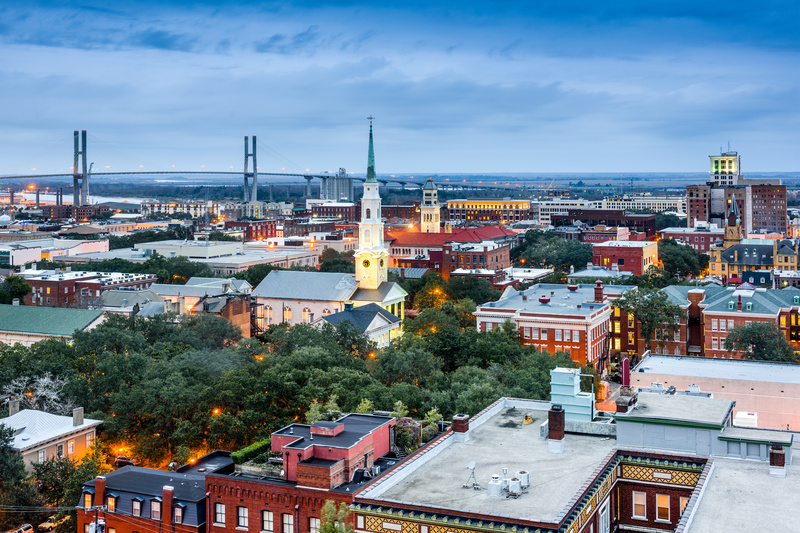 We may be a tad bias because we call this wonderful place home, but we think these are pretty good reasons why you should consider moving to Savannah. If you already are (or need more convincing), give Maureen Bryant a call.